On one of the last Saturday’s of our placement in Durban, we trekked it to the Moses Mabhida Stadium, which was built for the World Cup in South Africa a few years ago. The architecture of the stadium was amazing with an arch right over the stadium. 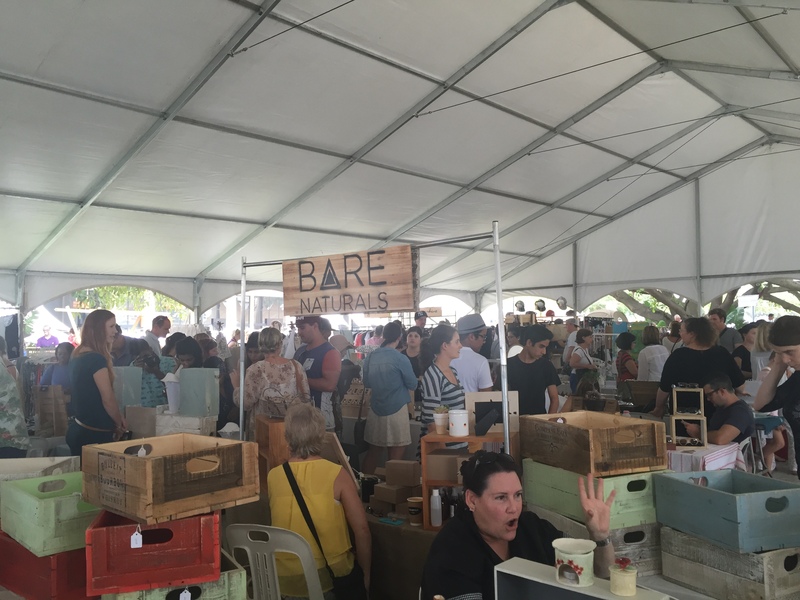 We strolled around until we found the ‘I heart market’, which happens on the first Saturday of each month. I was slightly disappointed in the market. It was aimed at tourists, which meant it was more expensive. It had different stalls: food, clothes, jewellery and souvenirs. It’s not a typical african market. Earlier that week, I found out that you could jump off the stadium into a big rush swing. I like to take every opportunity I can and push myself out of my comfort zone. Therefore, I was on a mission to do this. Initially, it didn’t worry me. I got into the safety gear, climbed the stairs up to the top of the stadium with others doing this crazy thing. The views from the top were beautiful, seeing a panoramic view of the city of Durban. I was about the third person to do the jump. Slowly, I climbed down the wobbly steps to the platform. I was attached to a zip wire. The guys transfered my safety buckle to the rope hanging from the top of the stadium. Pulling the rope back with my feet at the edge, the two men quickly counted down from 3. 3… 2… 1… I was off. I was falling. I was embracing the feeling with my eyes wide open. It felt in a way I was going in slow motion. Wow! Such a great feeling. After, I was dangling there admiring the view while being pulled up to the platform. I struggled to my feet as I stood on the planks back to the ladder. 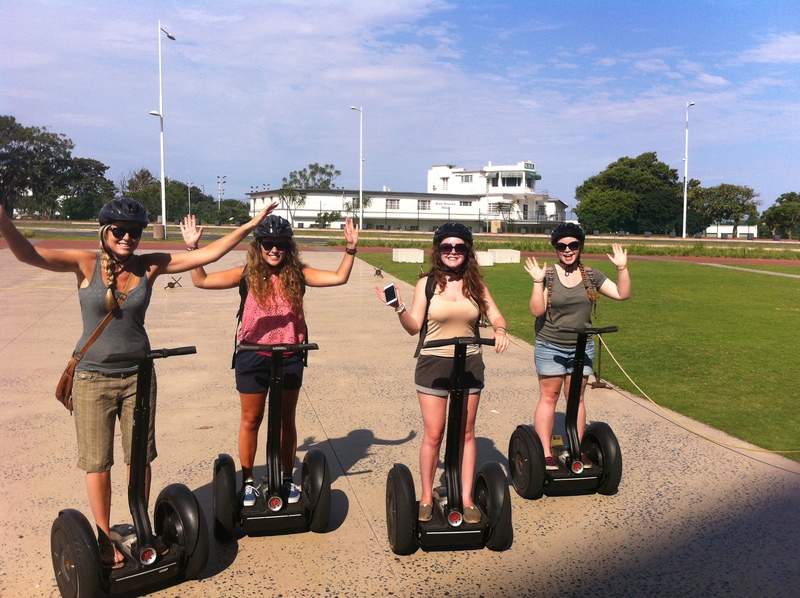 After I met some of my team to go segwaying along the beach. I had never done this before. Once we had the initial briefing, where the guide made it sound difficult, I was on the Segway. Pushing the bar to move. It was so easy to operate. I was speeding in and out of people. We saw the beautiful views of the beach, while riding along; up and down steep ramp and along the pier. This was quite narrow and going at quite a speed, I crashed into another person, falling off my Segway. It was hilarious. I loved segwaying! We ended the day with an ice-cream, sitting on the beach with monkeys running around.